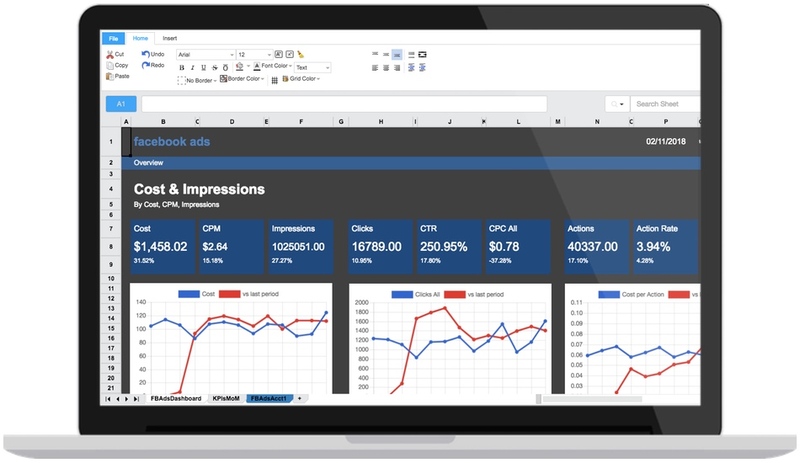 ABSTRACT: The Facebook Page KPIs spreadsheet template was made by a boutique Facebook specialist agency to communicate their organic Page and Post KPIs in an elegant manner. The template provides a daily, weekly, and monthly comparison of their most important KPIs so that they can always stay on top of their community and strategic growth strategies. If you would like to go directly to the blank spreadsheet template, you can do so by going to this link: https://app.factivate.com/spreadsheets/729ad2deb15443b6be70874436176d14 . Note that you will need a Factivate account in order to copy and get this template. This template tries to pull all of your relevant data for managing a Facebook community within one page. You will notice overview data from columns B through N and then specific/daily KPIs from columns Q to Z (even the graphs data is located starting in row AA). This big Facebook spreadsheet/dashboard is essentially broken down into two parts: 1) Page Engagement Metrics, 2) Fan Engagement Metrics, and 3) Post Impressions. Understanding these three sections will help you manage your Facebook activity better to achieve your optimal Facebook account ROI (return-on-investment). Page Engagement Metrics – simply put, these are your community growth KPIs. The more people you reach, who click on your content, and actively engage with your page, the more growth you’re likely to experience. Note the 30-day trending graph next to the KPIs. Fan Metrics – You should always start with a target KPI for fan engagement metrics that will drive which KPIs you will track. In this template, we’ve decided to focus on Post likes for the year. Note that the Target KPI is color orange and indicates to you that this can be altered. You should look at the two lists for 10 Newest Posts and 10 Posts in the last year with some context in order to determine which types of posts do well and why. If you see a post with lots of comments, don’t be afraid to dig deeper. This is where true social media gold can be found! Post impressions – Finally, we want to understand the difference between our organic efforts, our paid efforts, and the impact that had on our viral exposure. While there are various ways to consider this data (on a per post basis, for example), this template assumes that you are only looking to compare these KPIs in order to understand if your paid post activities had any impact on all of your community/viral reach. 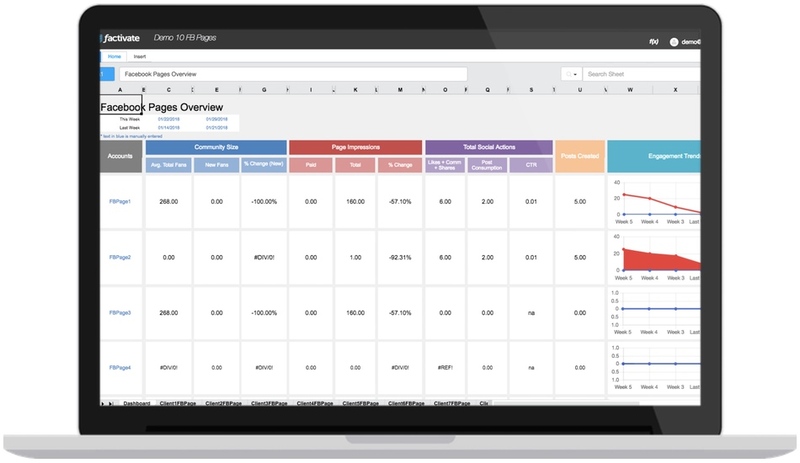 Starting on Column Q, you will see KPI data for Page and Posts on a daily basis. Scroll around and you will see all of the daily KPIs for Posts (reach, impressions, likes, comments, shares, etc). This area can give you some great insights about your post timing & will help you be more efficient in managing your post activities. 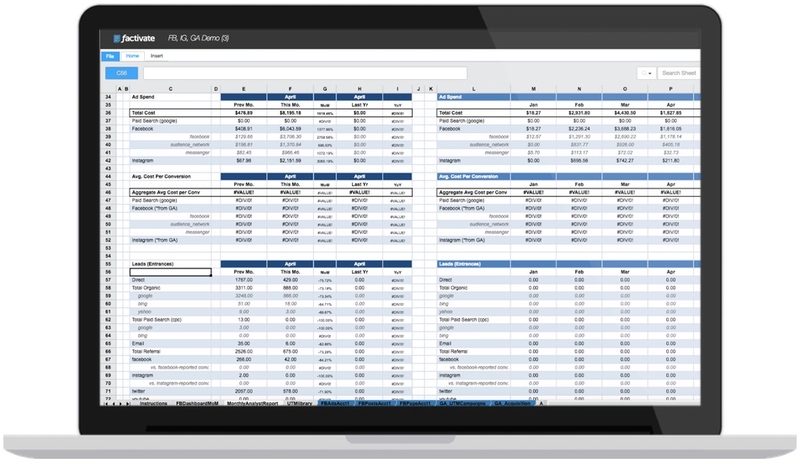 This simple, yet elegant,Facebook Page KPIs spreadsheet template was built to help you aggregate and analyze your Facebook Page data automatically. It combines all KPIs from daily, weekly, and monthly Facebook page activity in order to give you and your clients a great window into your community and engagement performance over time. Please email us at info@factivate.com if you have any questions or leave a comment below.